Opened in April of 2013 Fossil Craft Beer Company popped up on our radar almost immediately when searching for credible craft breweries. For the fat kid in all of our tasters we honed in on one phrase in particular that we read.Oreo Stout. Yes, the ladies and gents at Fossil Craft Beer Company make several different styles of hand crafted beer, but the one most sought after is their Oreo Stout. Unfortunately we visited too early in the year in order to enjoy this particular beer, but we were able to down some of their other hand crafted beers which included the following. 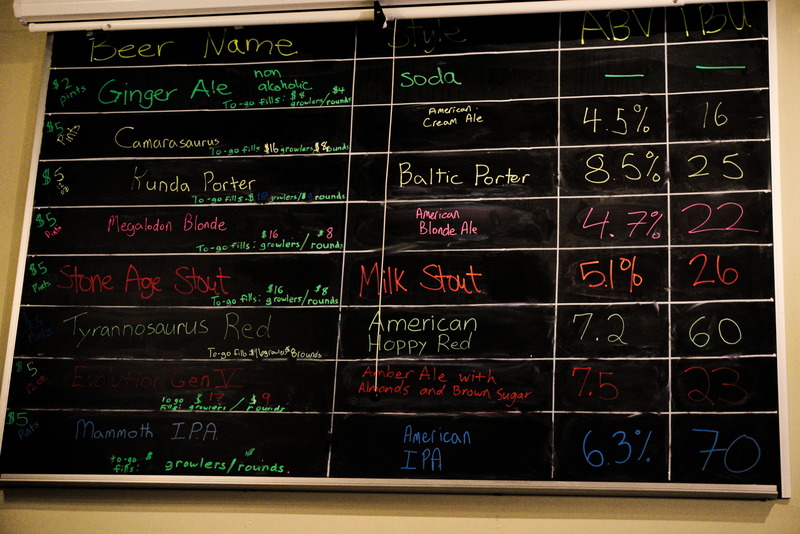 (beer reviews here) However, you can rest assured that we will not falter until we have tried the Oreo Stout. Along with providing a beer containing Oreos, which have been scientifically proven to be more addictive than several drugs, look it up, Huffington Post even made an article about it, Fossil Craft Beer Company also caters to your canine and culinary needs. That might have come out wrong, but Fossil allows your Fido to be able to sit down and enjoy a brew with you while day to day varying food trucks provide you with the whatever food you may desire. 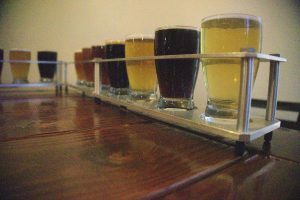 All and all Fossil Craft Beer Company is a great place to grab a beer, talk with friends or your dog, we don’t judge, and enjoy some barbecue all in an inviting atmosphere. and smooth and creamy, no hop. coffee and chocolate notes nice malty flavor. and hoppy taste than the porter. as the porter but the same flavor notes. plug copulated with a grapefruit and made a beer. 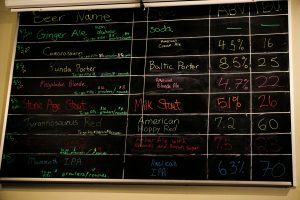 This entry was posted in Blog, Breweries, Community and tagged Beer, Brewery, colorado, colorado springs, Fossil Craft Beer Co. Bookmark the permalink.